The CHS Pharmacy Department have a dynamic, talented team of approximately 100 staff, including: pharmacists, technicians and administration staff. The department provides a range of clinical services to inpatients and outpatients including a number of specialised services. The pharmacy team charter is “Our competent and professional team will provide a contemporary and forward thinking pharmacy service that gives the best patient focused care possible and is valued by the CHS community”. Under the direction of the Lead Pharmacist and Deputy Director of Pharmacy (Operational), the Specialist Pharmacist for the Dispensary will work closely with a team of dedicated and skilled technicians and pharmacists to deliver a safe, timely, efficacious and patient centred medication supplies. The purpose of this Specialist Pharmacist position is to work closely with the Dispensary Lead Pharmacist, providing seamless transition of supply services between morning and evening weekday dispensary shifts. 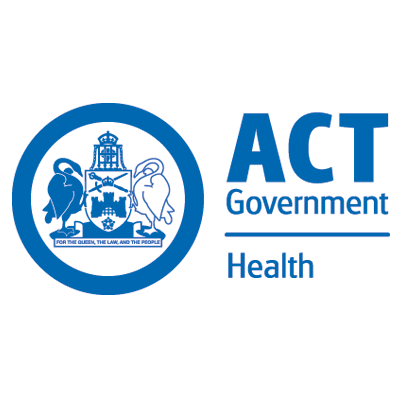 The position holder will also integrate into the Canberra Hospital Health Services (CHHS) Pharmacy team and will provide a range of pharmacy services on weekends and public holidays, as rostered and contribute to the on-call pharmacist roster. · Assist in the management of dispensary operations and processes, providing a consistent connection from day through to the evening shift (regularly working 11am-7pm), including workflows, prioritisation and delegation of tasks, with other senior members of the pharmacy team. · Under broad direction, and in conjunction with the Lead Pharmacist and Deputy Director of Pharmacy (Operations), provide a highly specialised level clinical & operational dispensary pharmacy service, undertaking a clinical supervisory role for pharmacists, students, and non-registered support staff working within the pharmacy dispensary. · Represent the pharmacy department through professional leadership to facilitate effective service provision and ensure safe and effective use of medicines. Proactively develop own knowledge and expertise to serve the functions of the role and the environment keeping abreast of emerging trends in pharmacy services. · Under broad direction, and in conjunction with the Lead Pharmacist and Deputy Directors of Pharmacy (Operations/QURE), promote safe, efficacious, and economical use of medicines, ensuring relevant local drug budgets are monitored and managed and that supply of medicines is in accordance with the Pharmaceutical Benefits Scheme and the CHHS Formulary. · Provide high level clinical pharmacy services (with demonstrated competency at the Consolidation Level for Advanced Pharmacy Practice) from a dispensary setting; proactively developing own knowledge and expertise to serve the functions of the role and the environment keeping abreast of emerging trends in pharmacy dispensary services. · Provide education, training and professional supervision to other pharmacists, interns, students and technical and other support staff. In conjunction with the Lead Pharmacist provide education, training and mentorship to pharmacy team members and other healthcare professionals, and provide education to consumers and relevant stakeholders in their care. · Contribute to practice based research, medication safety initiatives, accreditation activities, policy and procedure review, strategic planning and service review, and quality improvement projects relevant to pharmacy dispensary services in coordination with the Quality Use of Medicines, Research and Education and management teams. · Undertaking other duties appropriate to this level of classification which contribute to the operation of the section with the delivery of high quality person and family centred, safe and high quality patient care. 1. Proven substantial experience and high level of competence, expertise, skills and ability to apply clinical judgment in the provision of hospital pharmacy services, including a high level of understanding of the Pharmaceutical Benefits Scheme (PBS) and the principles of formulary management. 2. Demonstrated high level interpersonal and communication skills, the ability to consult, negotiate and liaise effectively with colleagues in the multidisciplinary setting and with patients, showing a commitment to building and maintaining effective working relationships and empowering patients to understand medicines, to enable them to become an active member of their own healthcare team. 3. Demonstrated ability to lead a team including the ability to delegate and prioritise of work, coordinate workflow, lead and/or assist with activities to improve service provision, and provide supervision for and appropriate feedback to, both registered and unregistered dispensary team members. 4. Demonstrated experience in education, mentoring and training, and the ability to impart knowledge and skills to the pharmacy team, students, and other healthcare professionals. 5. Demonstrated commitment to work, health and safety (WH&S) and the positive patient experience and displays behaviour consistent with CHS’s values of Care, Excellence, Collaboration and Integrity. To complete your application, you must prepare responses to the Selection Criteria and upload this as part of your application along with a current Curriculum Vitae. For more information on how to apply go to http://www.health.act.gov.au/employment/how-apply. For further information about the position and a copy of the performance expectations and jobs demands checklist, please contact the Contact Officer above.